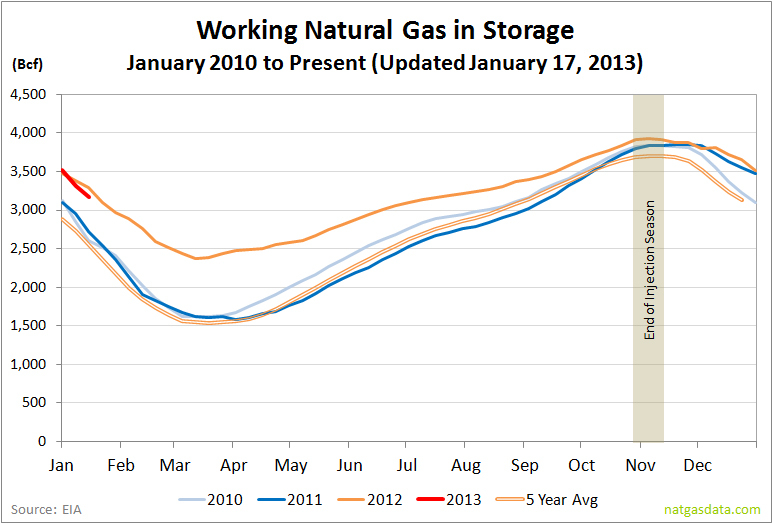 The EIA reported that gas in storage was down 148 Bcf this week, bringing the level of working gas in storage down to 3.168 Tcf. The weekly withdrawal was 66% larger than last year (-89 Bcf) and in line with the five year average (-144 Bcf). 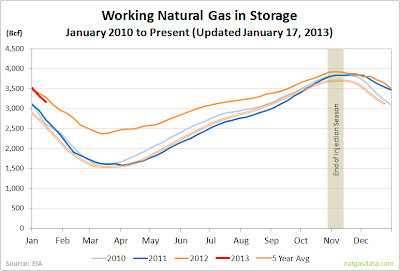 The current storage level is now 4.4% below last year (3.315 Tcf) - hardly a cause for celebration - and 11.1% above the five year average (2.852 Tcf). Temperatures last week averaged 37.1 degrees, which was 4.4 degrees cooler than last year and 4.0 degrees warmer than average.